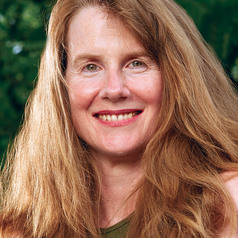 Mary Christina Wood is a Philip H. Knight Professor of Law at the University of Oregon and the Faculty Director of the law school's nationally acclaimed Environmental and Natural Resources Law Center. She is an award-winning professor and the co-author of leading textbooks on public trust law and natural resources law. Her most recent book, Nature's Trust: Environmental Law for a New Ecological Age, sets forth a new paradigm of ecological responsibility. She originated the legal theory called Atmospheric Trust Litigation, which seeks to hold governments accountable to reduce carbon pollution within their jurisdictions. Her research is being used in cases brought on behalf of youth throughout the world. Professor Wood is a frequent speaker on climate issues and has received national and international attention for her sovereign trust approach to global climate policy.